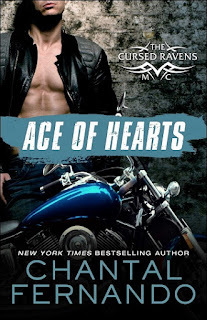 Rogue is the Vice President of the Cursed Ravens Motorcycle Club and this is finally his story. After getting a glimpse of him in the other two stories, I couldn't wait for his story and it was great. Not only is he the VP of the MC, but he also visits his mother at a nursing home who isn’t doing well at all. Rogue doesn't want to accept the fact that his mother will not be around much longer. One day when he goes to visit his mom, he meets Zoe, a caregiver looking after his mom. He is taken by Zoe and wants to get to know her better. Zoe really likes Anne, she is sweet, tough, and talks like a sailor when the dementia isn't acting up. She knows that Mrs. K has a son but has not met him yet. But when Zoe sees her son, she can't believe her eyes. He is tall, dark, handsome and definitely trouble with a capital T. But Zoe is drawn to him and they begin to spend time together and the sparks fly. Can Zoe adjust to Rogue being in the MC? He is VP after all, not just some guy pretending to be in a club. Can Rogue forgive Zoe for what happens with his mother? Will Zoe ever be able to move past the guilt she feels for what happened? I love this series and think each book is better than the last, if that is possible. If you are looking for a really great MC story that focuses on the members and their women, then this series is the one for you. Read it, I hope you love it too. For reviews & more info, check out our Ace of Hearts post. 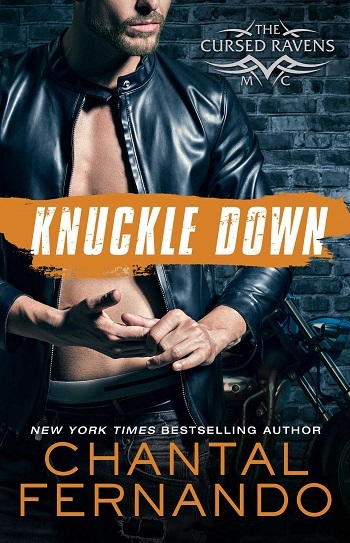 For reviews & more info, check out our Knuckle Down post. Chantal Fernando is the New York Times bestselling author of the Wind Dragons Motorcycle Club series, the Cursed Raven Motorcycle Club series, and the Maybe series, along with several other novels. She lives in Western Australia, where she is working on her next book. Reviewers on the Wicked Reads Review Team were provided a free copy of Going Rogue (The Cursed Ravens MC #3) by Chantal Fernando to read and review.